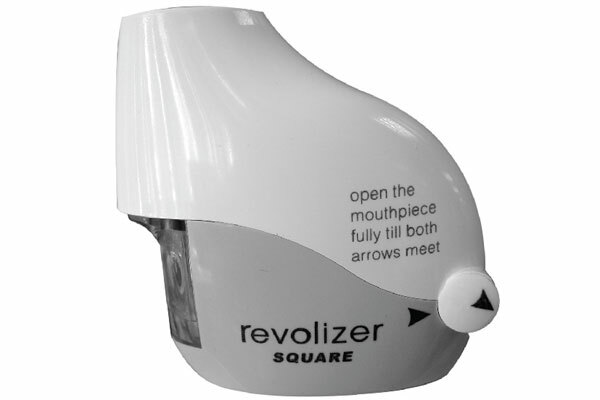 •	Revolizer is a dry powder inhaler (DPI) device which is the result of a design and development program to address the critical requirements of an ideal inhalation device. •	It provides accurate dosing and greater lung deposition even at low inspiratory flow rates combined with ease of use. •	It provides an improved respirable fraction while adding style and modern design to give patients a revolution in inhalation therapy. •	Besides, it is an extremely simple device. The user has to open the device, insert the DPI capsule, and shut the device and then inhale.